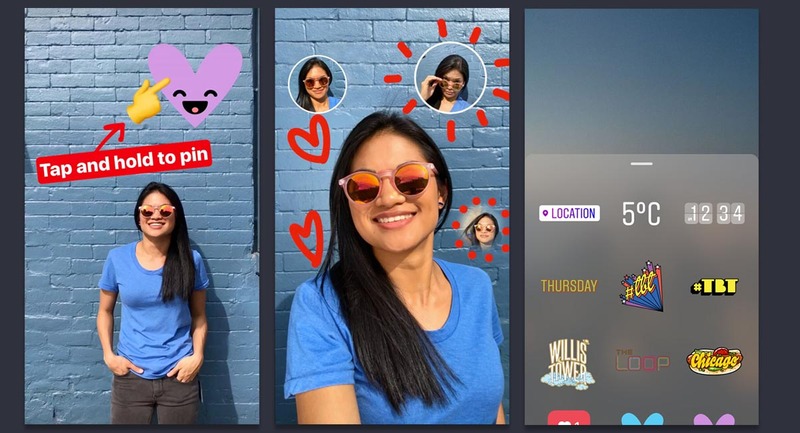 Instagram announced today that 200 million people now use their Stories feature, which seems like a lot. Snapchat clocked in at around 161 million a few months back, so I’d say Instagram’s version of Snapchat is doing quite well. To celebrate those usage numbers, Instagram is giving the world new sticker tools to help you be the creative god you always wanted to be. One of the new sticker types is a selfie sticker. Good lord, yes, that’s what it’s called. It works by letting you snap a mini-selfie that can be pinned anywhere, including within a video. You can see a version of a mini-selfie in the image above. RIP, world. Other new sticker options include geostickers that are specific to the city you happen to be in at the moment. That could mean a hot dog while in Chicago, for example. Finally, the stickers section now has a recents area, so that you can easily find your most-used.